On the heels of Ron’s discoveries of Operating Thetan came a year of intensive research, exploring the realm of a thetan exterior. 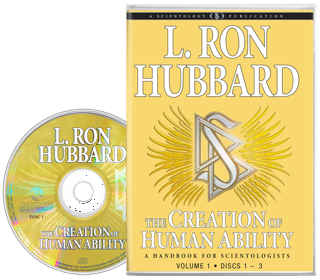 Through auditing and instruction, including 450 lectures in this same twelve-month span, Ron codified the entire subject of Scientology. 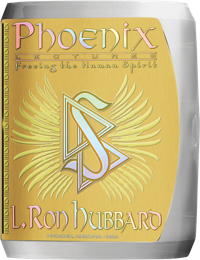 And it’s all contained in this handbook, from a Summary of Scientology to its basic Axioms and Codes. Moreover, here is Intensive Procedure, containing the famed Exteriorization Processes of Route 1 and Route 2—processes drawn right from the Axioms. Each one is described in detail—how the process is used, why it works, the axiomatic technology that underlies its use, and the complete explanation of how a being can break the false agreements and self-created barriers that enslave him to the physical universe. In short, this book contains the ultimate summary of thetan exterior OT ability and its permanent accomplishment.